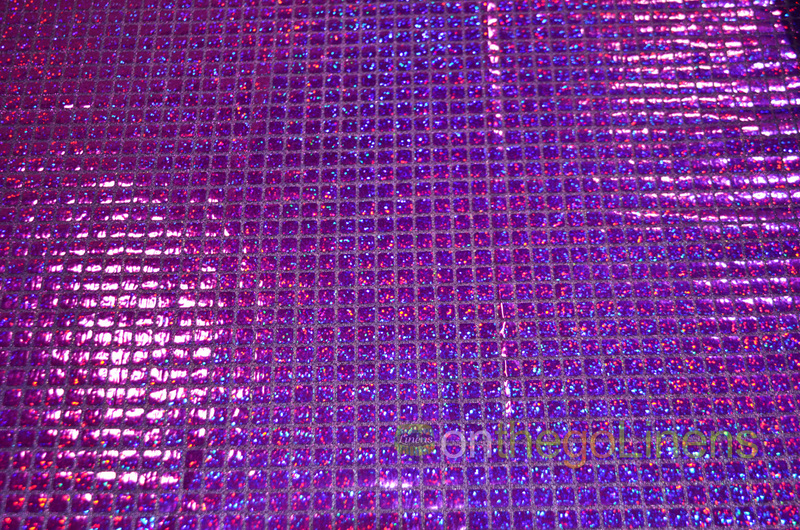 Order the Best Quality Hologram Quad Sequins Yards in 7 different colors. 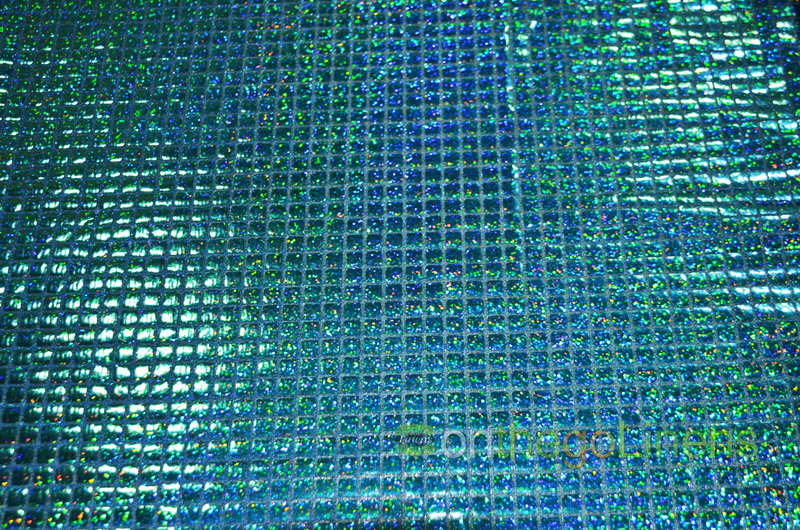 Fabric Content: Hologram Quad Sequins, Please inquire with associate for more information. 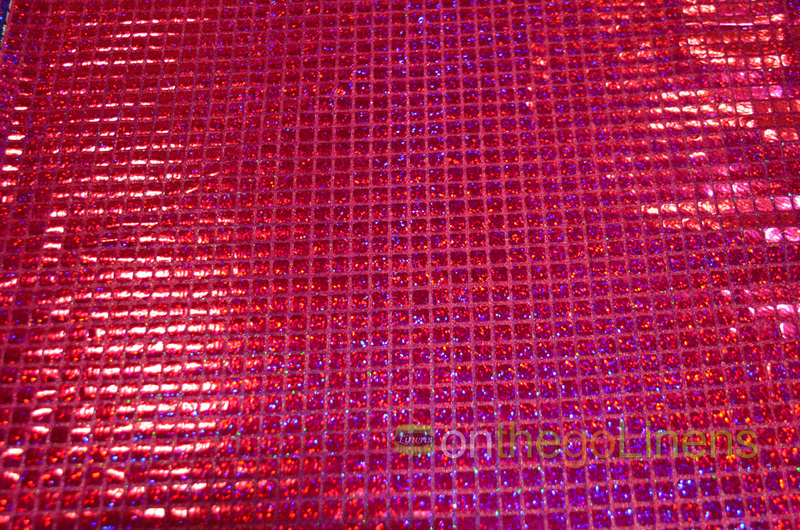 Fabric Description: Hologram Quad Sequins is a light weight Glued on Squared Style Sequins. 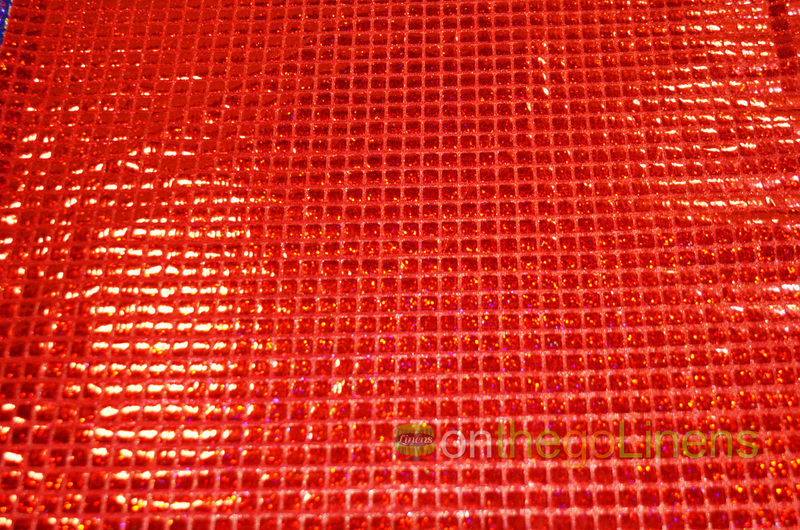 Great for Overlays and Runners and the decorative industry. 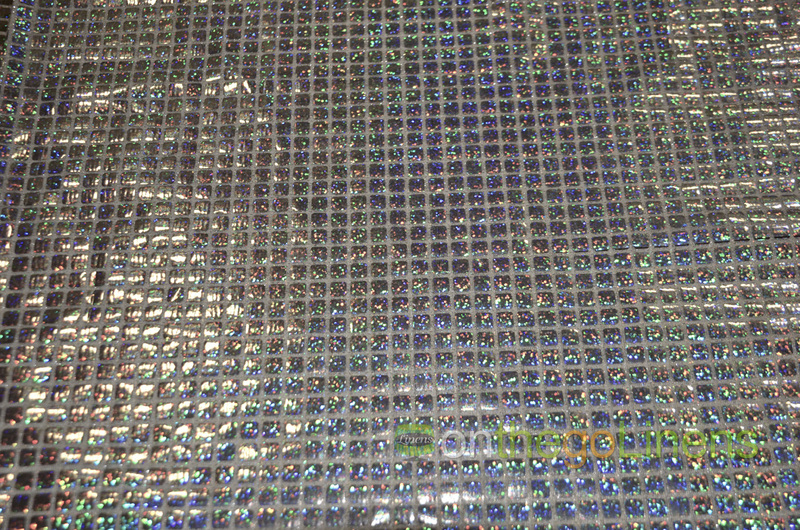 Use in the Apparel wear is common in Costumes and Dance Wear. Arts and Crafts use is highly recommended. 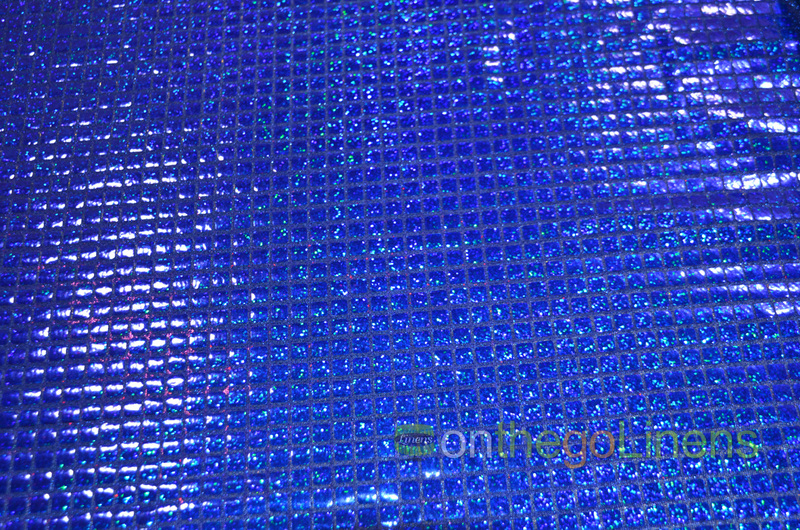 Fabric Weight: Lightweight hand feel. 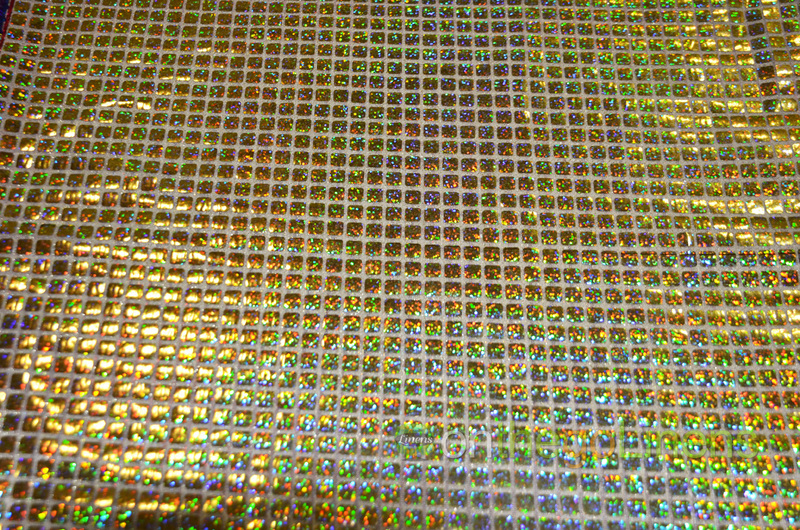 Hologram Quad Sequins (Square/Boxed Sequins) is hand washable with mild soap. Hang to Dry.